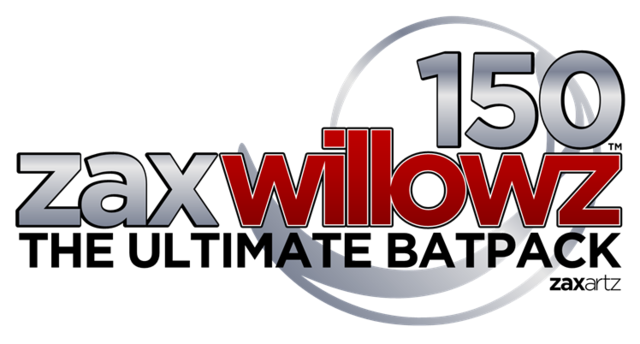 ZAXWILLOWZ 150 Bats Patch for EA Sports Cricket 07 Highly Compressed Download now. 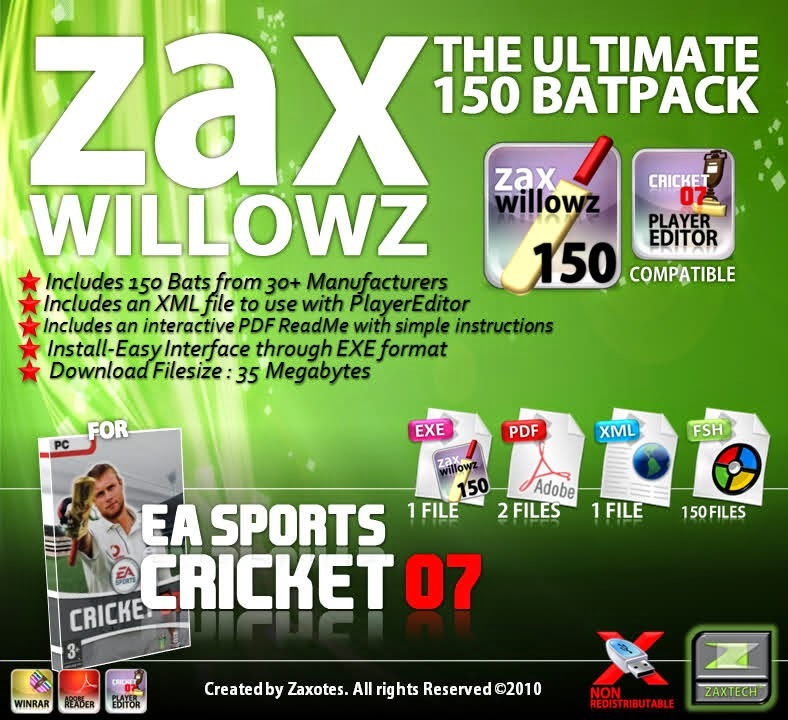 Zaxwillowz 150 Ultimate Batpack is the first ever complete batpack for EA Sports Cricket 07. Download the Mega Batpack Zaxwillowz 150 Ultimate Batpack for EA Sports Cricket 07 here now! This batpack is created by Zaxotes "Akshay Anand" for EA Sports Cricket 07 lovers! Don't miss it, just download it and install the exe file in your EA Sports Cricket 07 Root Directory!